How are your holidays so far? The crew from Germany sent their regards along with a new vehicle for us to play with - the Mauerbrecher! 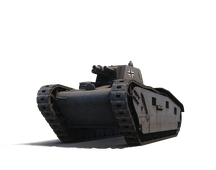 This vehicle is a Tier VIII heavy tank from Germany with superb armour. 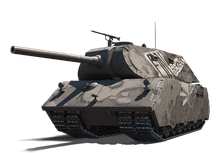 Enemies won't have a hard time finding the Mauerbrecher, but ammo will have a hard time penetrating its armour. Once you spot a target of the same tier, simply swing your turret around and fire. Note: Remaining x5 EXP bonuses will expire if not used completely before 1st February 2018. Not applicable for first victories. Must rank within top 10 by EXP in your team.